Note how this only answers why he is obsessed with time and Spider-Man, but does not really address the clock issue. I'm willing to let it slide, since it turns out he has a goatee. I thought it was a shadow or something, honestly. Those glasses are also pretty spectacular. TIL: The head-swivel in panel two. Maybe he got sent to prison for stealing a clock. "Spider-Man sent me to prison years ago." Hey, Big-Time -- shouldn't you know how many years? If you're so obsessed, shouldn't that fact be the first thing that comes out of your mouth? Lazy writing. 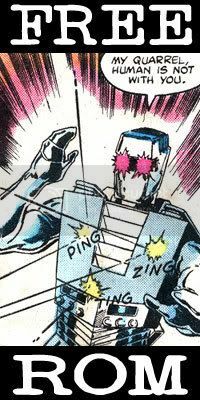 Still to be explained: Does he have any actual powers or high-tech gadgetry -- or just a buncha clocks? Also STBE: how he got his mitts on a Spider-Suit that gives the wearer (a garden-variety sidekick, as far as I can tell) super-powers. I like how the hired thug just thought to ask Big Time now why he likes clocks so much. It just occurred to him.